The arduous task of rebuilding the Cleveland Cavaliers has them currently in possession of two first-round picks for the NBA draft in June. 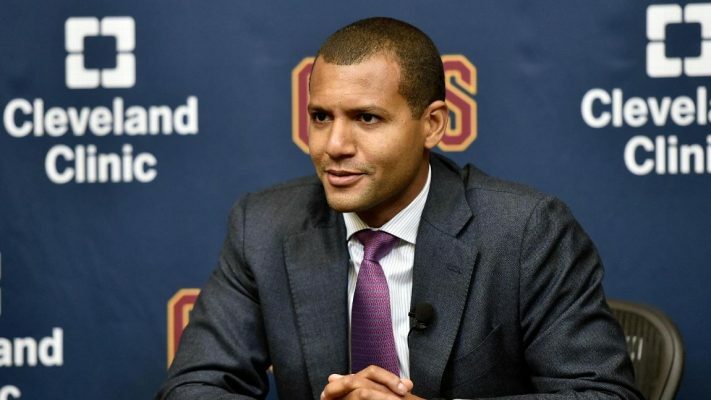 One Western Conference general manager believes that when the draft is conducted, the Cavaliers could have as many as four first-round picks in the opening round. “Altman would be more than happy to take another late first-rounder off someone’s hands. All it sometimes takes is a couple of second-rounders. Since the start of the season, Altman has acquired six. “Could he turn them into two more first-rounders by the 2019 draft — to give the Cavs a total of four? The prospect of the Cavaliers having four first-round picks added to their 2019-20 roster could help speed up the rebuilding process. That would be a welcome relief from the current misery of the current campaign which has the Cavaliers saddled with a 12-46 record as they prepare to resume play. Their next game will be at home on Thursday night against the Phoenix Suns.